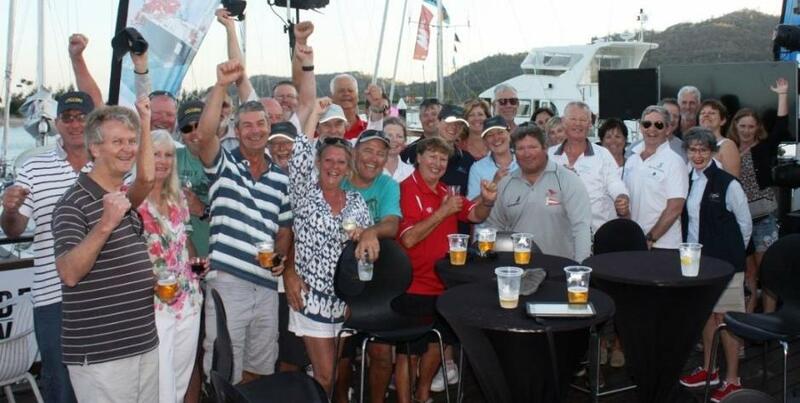 It was a tough day all round for the 60-boat fleet competing in the signature Around the Island Race on day two of the SeaLink Magnetic Island Race Week. In the IRC division Bob Steel’s new Matt 1180 Quest stepped out of the shadow of a poor, or as Steel coined it “practice race” first day, to secure today’s race and take overall IRC honours, but not before the team were challenged by both the local conditions and the Farr 40 Guilty Pleasures VI. On the start line Jason Antill’s Komodo was over early. “My grandfather told me always get to the start line on time and know the course,” Antill quipped. He has promised to achieve both by day three. The run and reach to the western shore of the island in a soft east-north-east proved to be a pleasant start to the race. At the clearing mark Quest was in the lead with the Guilty Pleasures close behind keeping the pressure up on Quest throughout the race. What happened next divided the ‘men from the boys’. 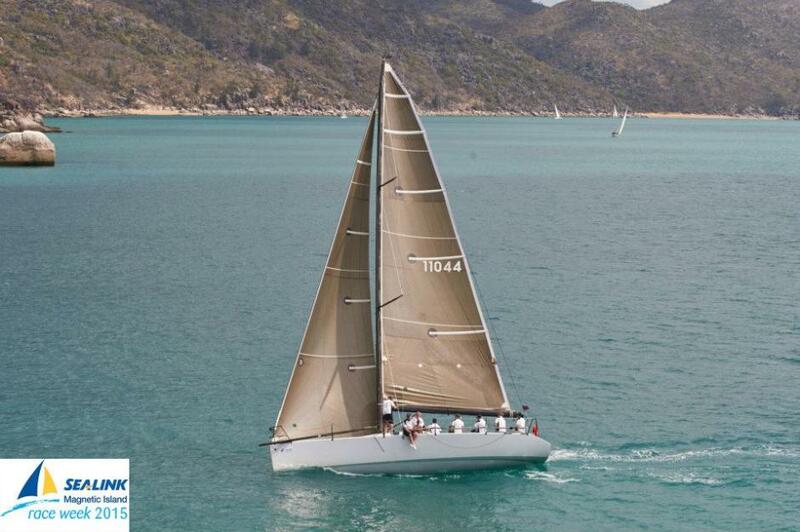 The leaders were enjoying eight or nine knots as they sailed towards the back of the island, past Townsville city. Steel told the story of what happened next to the IRC and PHS boats. He said the race then re-started as the IRC and PHS boats “congregated”. “They all closed up on us. I think the locals were aware of it, but even they couldn’t do much about it. We were the first to get out of it, but not by very far,” Steel added. Luckily for Steel the work back to the finish gave them the leap on the IRC and PHS boats. They hugged the rocky shore, getting out of the current as much as possible. “We found the right lanes and sailed the boat quite well. Overall, I am happy with the day,” Steel said. Second on IRC was Guilty Pleasures, skippered today by Greg Dorries, after they dug themselves out of the windless hole at the western point of the island. Today’s result also put them in second overall. Rob Curtis’ Kerr 11.3m Kerazy team achieved another perfect score today to retain their place on the top of the podium. “We held in with the bigger boats all the way around the course. We managed to get through the parking lot and even took some time out of them. We are pretty happy with the result,” Curtis said. In second on PHS was Komodo and in third place Guilty Pleasures. The Cruising Spinnaker Division 1 was full of drama as Paul Ley’s Pilgrim and John Karger’s Mach 1 were both called OCS. Wayne Millar’s Zoe powered over the line and ahead to lead the fleet before they too hit the parking lot. “It was a re-start down there. It was a real lottery,” Millar said. In first place was Justin Daley’s little Mango Tango and in second was Zoe. That result gives Mango Tango, a Thompson 750, first place overall with Doug Ryan’s Beneteau 44.7 Shazam on second after a count-back. Cruising Spinnaker Division 2 were a feisty bunch on the start line. After the first general recall, PRO Denis Thompson advised the fleet they would be under a Black Flag. The fleet then received a “well done” from Thompson as they cleanly cleared the line. First place was taken out by Paul Neilson’s De Ja Blue. In second was Peter McKenzie’s Le Rossignol. 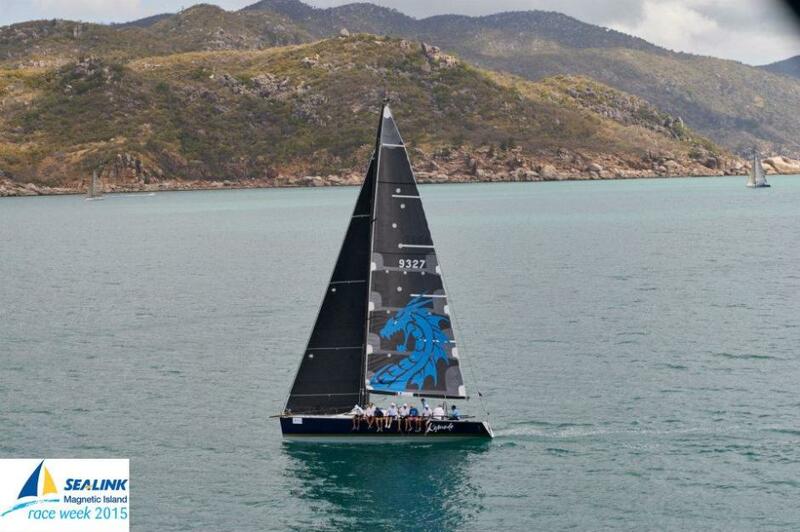 Overall De Ja Blue holds first place ahead of Jack Maguire’s Zen. Cruising Non Spinnaker was a repeat of yesterday with John Parkes’ little Untamed winning and Naree Carton’s No Legends taking out second place. Overall the leaderboard remains the same. The Multihulls struggled with the softer conditions today. While Mojo took out line honours, Justin Gunwald’s Two Up Together had a great battle with Mike Hodges’ Renaissance, racing side by side throughout the long course. “It was a really hard race. I have got to say my crew just kept on it all day; just working the boat all day. It’s the first time we have beaten Renaissance over the line,” a delighted Grunwald said. On the overall results, Two Up Together is in first place and Mojo in second. 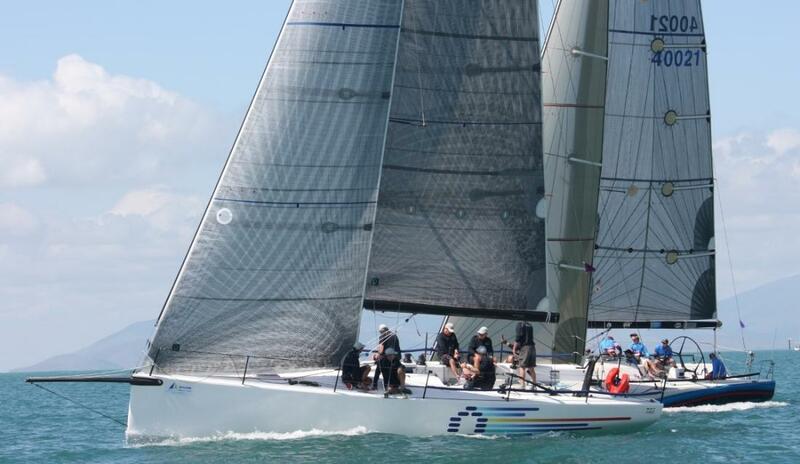 The ninth SeaLink Magnetic Island Race Week runs from August 27 to September 1, and has seven divisions on offer for this year’s regatta which is – IRC, Performance Racing, Cruising Spinnaker, Cruising Non Spinnaker, Classic Yachts, Multihull Racing and Multihull Cruising. Day 2 footage would not have been possible without one of our many event sponsors Nautilus Aviation. Thanks to Pilot Lesley who flew all the way down from Cairns today to assist us in making all this happen! Our media partners John de Rooy Photography and Jepson Media took advantage of these fantastic conditions we experienced today!